Recent instances of extremes of weather have prompted conversations about issues that can no longer be ignored. Building façades, as the “front line” facing punishing weather systems, are a key focus of consideration when addressing designs for the future. 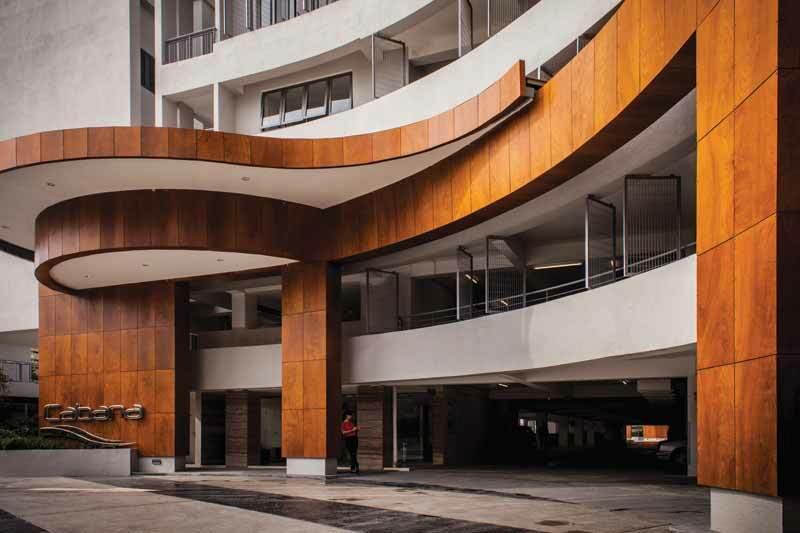 Many current cladding choices have a long lifespan, causing the architectural community to consider whether façade designs will withstand the trajectory of more extreme weather on the way. This author, along with John Kubassek of Engineered Assemblies, presented his perspective on façades for the future at a recent conference. The presentation has been adapted for print here, with the central focus of bridging design with the field of construction to look at the complete envelope system and encompass all areas of consideration that can contribute to a successful installation. That means taking a step away from day-to-day business as an individual specialist to consider the industry as a whole. discuss how we need to build better, and smarter, to strengthen the market for quality solutions—for everyone’s benefit. The automobile industry did an excellent job of showing us “tough isn’t the answer.” Years ago, cars were built heavier, with more mass, and they were designed to be tougher. When these older-model cars were involved in a collision, shockwaves went through the vehicle and, of course, gravitated to the lowest common denominator (the driver and any passengers). Not only were these cars built before fuel efficiency concerns, but they were also heavy to move and produced excessive exhaust fumes. Fast-forward to today. Cars are a lot lighter with less mass, much more respectful of fuel efficiency, and have crumple zones and airbags. The suggestion is not modern cars are superior in all respects to what came before, but there has been substantial improvement, and it is due to smart engineering. They are now safer, employing intelligent systems rather than sheer muscle. It is a case of brains over brawn. In this way, façades have followed the same path. Building envelope systems were first structured solely to withstand the forces of nature. Factors like embodied energy and sustainability were not considered. To do better for the environment, building professionals now use lighter systems with less mass and clever engineering. These new façades absorb more energy and can transfer it accordingly, instead of standing up like an unyielding monolith. They will flex and give, as seen in seismic zones. So, similar to cars, façades have evolved to contain less mass. Smart engineering and science have also led to greater façade strength. the influence of climate change. Additionally, it is worth noting façades play an essential role in protecting buildings of significance; if they fail, the entire building is compromised.